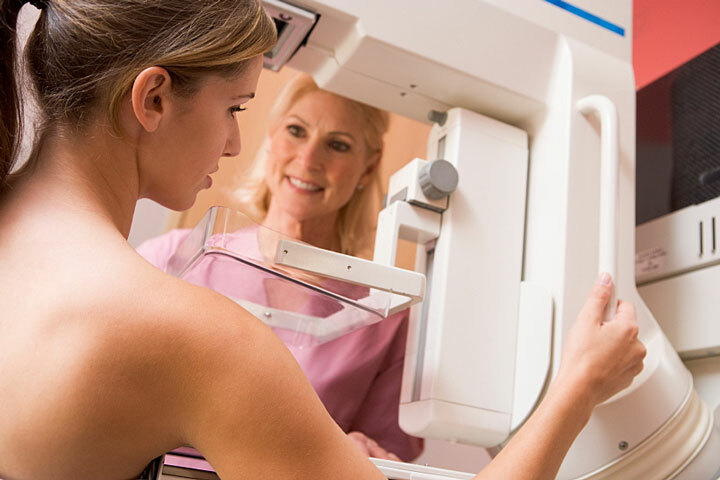 Researchers at the University of California at Berkeley and the Lawrence Berkeley National Laboratory released a new study which shows that mechanical pressure to breast tissue may help prevent breast cancers in women. Researchers presented their findings to the annual meeting of the American Society for Cell Biology in San Francisco, California. The study was partially funded by the National Institutes of Health. In the Berkeley study, scientists applied force to malignant breast cell tissue using silicone. With time, investigators found that malignant cells eventually changed into more healthy-looking cells. “We are showing that tissue organization is sensitive to mechanical inputs from the environment at the beginning stages of growth and development…an early signal, in the form of compression, appears to get these malignant cells back on the right track,” says lead researcher Daniel Fletcher, professor of bioengineering at Berkeley and faculty scientist at the Berkeley Lab. The Berkeley scientists realize the controversial nature of their findings. Nearly all previous research emphasizes the genetic components of cancer rather than any mechanical component. So will simple at-home breast squeezing help prevent cancer? “Compression, in and of itself, is not likely to be a therapy. But this does give us new clues to track down the molecules and structures that could eventually be targeted for therapies,” says lead researcher Daniel Fletcher.